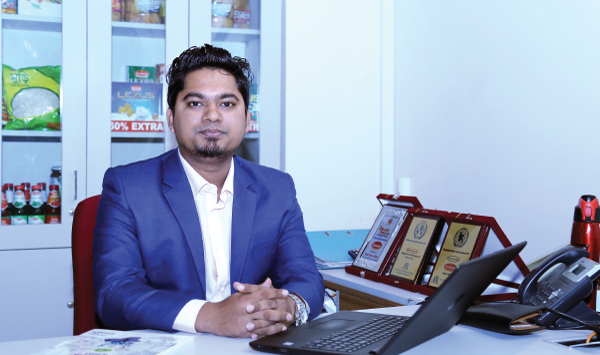 Ask any recruiter in Bangladesh’s food and beverage industry and they are probably going to recognise a young man by the name of Shah Foysal Hossain. And for good reason too. This marketing executive and strategist earned his share of corporate notoriety by designing market changing brands and churning out revenue generating products. 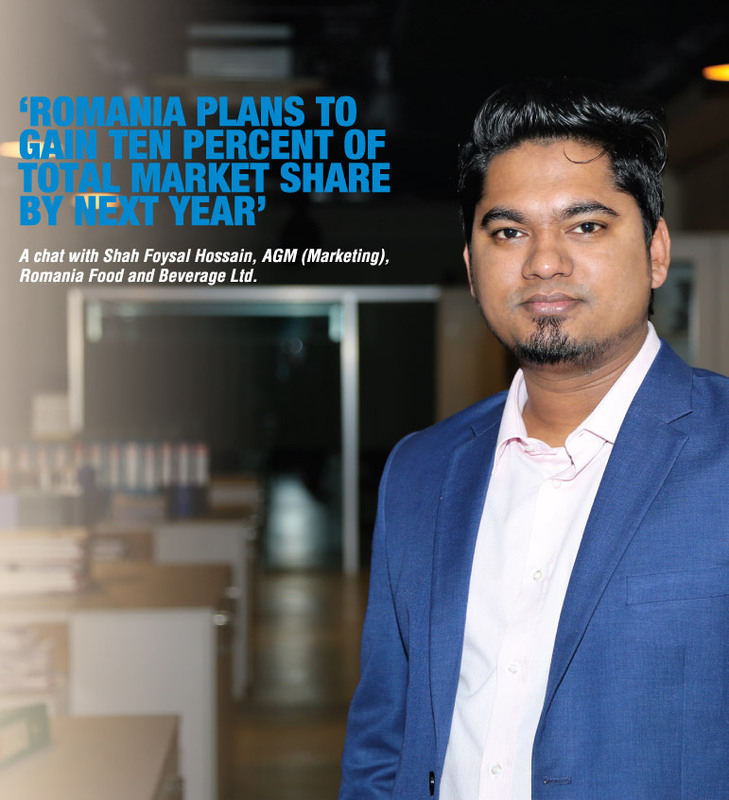 Currently the assistant general manager of marketing at Romania Food and Beverage Ltd, branding and marketing has become Shah Foysal Hossain’s instinct. We find out more in our conversation with the man at Romania’s corporate office in Tejgaon. Please tell us about your career and what led to this point. I started my career at Robi. I was at Akij after that for a brief period of time. After that I joined Pran. I was at Pran for four and a half years and I was in the bakery and biscuit division. After that I was in GMG Group, where I was in ‘personal care’. I joined Romania after that six months ago. We know that you were involved in developing the ‘All Time’ brand at Pran. Tell us about that. ‘All Time’ was a major brand that I worked in. Other than that I was in ‘Wafer’, which is part of confectionary; I was in ‘biscuit’, at the same time, I worked in retail chain. There is a brand called ‘Mithai’ that sells all kinds of sweets. I worked in that. There was a brand ‘Tasty Treat’ where I also work. So, overall I worked in retail chain, bakery, Wafer and biscuit. I also worked for a short period for the brand “Jhatpot’, which is Pran’s brand for frozen items. I created that brand. Because I was at Pran for a long time I had to take on a lot of responsibilities, which ultimately gave me a rich portfolio. I was given a lot of budget and did a lot of marketing work. Our long term objective there was basically relating to market share, naturally. So, in Tasty Treat, which is under the ‘cake’ category we competed with the major brands in Bangladesh retail market, which are Mr Baker and Coopers for the mass consumers. In the niche market you have Swiss, Club Gelato and others like those. To get market share from them we planned to launch 100 outlets in Bangladesh. We started in the residential areas. Gradually we moved to upper-scale areas like Banani. We also prioritize moving our products in places closer to our factory, as you have to deliver the items fresh. That was the plan basically for Tasty Treats. How long it took to see the effect of the new initiatives, in terms of numbers? The work you do for brand building is difficult to measure within a quarter or two. If you measure simply by sales that too can be misleading. Those of us who work in marketing, our primary work is brand building and brand development. When you do the brand building that is basically introducing the brand to the public. And then you communicate the information consumers need to know about the products. Like for some products you want to convey that it is hygienic, or the fact that they are healthy, that kind of information. We carry out activations through various means, including TV and radio commercials. So, if you gain market share slowly then that means the brand is getting healthy. And if consumption increases that means there is recurring sales. The job of the sales department is to make sure that numeric distribution is being carried out and the products are reaching all the targeted delivery points. What are the challenges in the bakery industry in delivering perishable items fresh? Bakery in general covers a lot, biscuits, cookies, bread and a lot of other variants. For bread buns, which is the most produced bakery item here, they have to be produced every day. You have to deliver them to the retail points before the consumers reach those points. If you can’t do that you are out of this business. You have to start production by the late afternoon every day, finish by night and deliver them before 7 in the morning. If you can maintain this cycle you will get some market share automatically. May be 10 percent market share will come just from this. The real challenge is to deliver in time. Tell us about Romania and your work here. The total biscuit and bakery market is Tk350 crores per month. From this, just biscuit, which includes toasts, crackers etc, has Tk250 crore market share. From this Olympic sells somewhere between Tk80 to 100 crores. This is their biscuit products. After that Pran holds the second position in the market, selling Tk 35 to 40 crores. Third is Haque, which sells Tk 25 to 30 crores. So, these are the market leaders. So, together they sell Tk 170 crore of the Tk 250 crore biscuit market. So, the rest of the market share for the biscuit market, consisting of Tk80 crores, is shared by Dekko, who sells Tk 11 to 12 crores, BD Foods who sells Tk 9 to 10 crores, Danish who sells Tk 11 to 12 crores, and then we (Romania) sell Tk 9 to 10 crores. Our target is reaching Tk1 5 crore and we hope to reach it very soon. We are set to reach Tk 12 crore by next month, reaching the final target by the next quarter. We started out with Tk5 crore share in the market and grew up to here. We mainly did two things. We worked on our numeric distribution. And we worked on trade promotion and consumer promotion. We convinced the dealers to invest the profit from us. We also provided additional benefit for the retailers. And now we will start working on consumers. We have already started small promotions on the digital media. But we haven’t started on television yet, because it’s not the right time yet. What kind of software tools you use for your day to day operation? We have a central ERP software. It has provisions for measuring direct sales from our promotional and marketing activities. In my previous work I worked with Nielsen. They generate a data called ‘retail index measurement’. They hold a session every month that evaluate all growth related data. 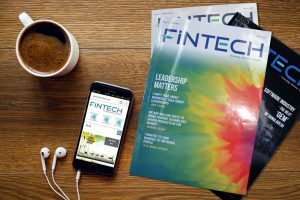 It looked at how much the market grew and compared that to the company’s growth, and similar evaluation. Nielsen is obviously the leading market research company. What data you are using here at Romania? We have actually started working with Nielsen here as well. Lexus is Romania’s most visible product. How is it actually doing in the market? Even though Lexus is our most visible product, our revenue comes from elsewhere. Volume wise we sell Coconut Milk Biscuit the most. We were the first mover for Lexus in Bangladesh. We have different variants; one is vegetable crackers Lexus. Vegetable flakes are the main ingredient in it. We are also going to bring peanut biscuit. Recently, we introduced Zero Biscuit, which is zero sugar and zero calorie based. This is for the health conscious segment.